Just 50 km in length and 13 km wide, Menorca is home to a host of small resorts clustered around an embarrassment of beautiful beaches and a much quieter, more laid back ambience than it’s nearest neighbour. 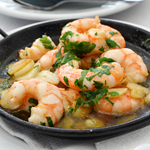 The main buzz can be found during the hot summer months in the capital of Mahón (Maó), the former capital of Ciutadella and the old Colonial town of Es Castell. When the summer season ends, many of the island’s hotels, bars and restaurants outside of Mahón and Ciutadella, close their doors until the spring. Known as ‘the windy island’, it doesn’t take a great leap of imagination to assume that the default setting for the island is blustery but Buzztrips has never experienced particularly high winds there, mainly because the worst of them arrive during the winter months, especially March. In weather terms the general pattern is that winters are wet and windy giving the island a lush coating of vegetation to carry it over the hot, dry summers. Buzztrips opinion: This most charming of the Balearics is smaller and far less commercialised tha n its neighbour, Mallorca. You can still find an isolated sandy bay to yourself or wander away from a bustling tourist scene to discover a slice of authentic Menorquín life. If you’ve been practising your Spanish phrases in preparation for your holiday, don’t be surprised if you’re greeted with a bemused expression and a “Qué?” as the first language of the island is in fact Catalan. Closest centre to the airport at just 2.5 km distance, Maó or Mahón has been the island’s capital city since 1721 when, in typically arrogant fashion, the ruling British decided to take the title away from Ciutadella which had held the title since Roman times, and bestow it instead on the place that had the largest natural harbour – Mahón. The old streets and plazas of the city climb in giant tiers above the port providing ample exercise for thigh muscles and bestowing a cornucopia of craft, cake and clothes ships to reward those who make the effort to explore. There are pleasant plazas and some nice Colonial architecture which is a hangover from the British occupation of the city but the best place to hang out is without doubt at the portside bars and restaurants that provide the perfect base from which to observe the comings and goings of cruise life by day. Around the midnight hour when the day trippers have left and the locals come out to play, the marina area morphs into one of the nightlife centres of the island. The guide books will tell you that Mahón is where mayonnaise (Mahón-esa) was first invented but you’ll struggle to find the authentic Mahón sauce nowadays, with either allioli or standard commercialised mayonnaise being the default accompaniments to bread in restaurants. 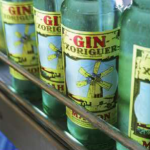 A much more exciting quest is to track down the Mahón gin factory of Xoriguer which is on the port and pay them a visit (Anden de Poniente, 91; open Mon-Fri 0800-1900, Sat 0900-1300). Once you’ve discovered the taste of a pomada (Mahón gin with lemonade), you can retire happily to the nearest bar and practice for the rest of the afternoon, or indeed, the holiday. On the island’s west coast, a 50 minute drive from the airport and Mahón, lies the former capital city of Ciutadella, considered the soul of Menorca. Home to approximately 40% of the island’s 80,000 plus population and destination for day trippers from across the island, the city’s medieval streets of the old quarter are the perfect place to stroll, taking in the sights of the city and stopping to enjoy a cool drink at one of its pavement cafes. The sandstone coloured walls of the 14th century Gothic cathedral dominate its eponymous Plaza de Catedral. First constructed on the orders of King Alfonso III of Aragon on the site of an old mosque, the original cathedral was finished in 1362 but was devastated by the Turks in their 1558 sack of the city. An escape from the intensity of the sun to its cool interior reveals beautifully carved columns in the 17th century Angelus baroque chapel and an impressive marble altar and canopy. Head to Plaça des Born, the heart of the old city, to find many of its architectural treasures such as the Ayuntamiento (Town Hall), the Palacio del Conde de Torre-saura, the Teatre Municipal d’es Born and in its centre an obelisk monument to those who fell in the 1558 attack by Turks led by the notorious Barbarossa. From here, the views over the small port with its lines of moored yachts is splendid. 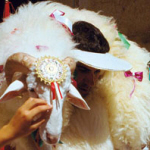 Not for the faint-hearted, lovers of the spectacular should aim to visit Ciutadella during the Fiestas de San Juan on June 24th when thousands take to the streets, parted by the dancing Menorquín horses and their riders. Jousting displays demonstrate incredible equestrian skills and can occasionally plough through spectators who show little fear, or common sense when it comes to creating enough space for those galloping hooves. In Buzztrips opinion, Es Castell is the coolest and most culturally authentic resort centre on Menorca whose life revolves around its plaza and its fishing harbour of Cales Fonts. Under British rule, Es Castell was known as Georgetown and its main plaza is the former parade ground. The town is known for its Georgian architecture, a legacy of British rule, which gives the place an elegant, English-in-the-sun look. Popular with locals as well as visitors, the harbour walls are excavated with craft shops, sandal makers, trendy bars and good fish restaurants from where you can watch cruise liners making their way to and from the port of Mahón, glistening like floating ballrooms after dark. Set at the mouth of Mahón Port and the most easterley town on Menorca, the sun rises here first. At the end of a long, hot summer when the storm clouds gatherered, we have fond memories of sitting at one of the restaurants and watching nature put on a grand display of thunder and lightening, sending white light flashing across the bay to Mahón – spectacular.